Picture of a microwave in my office. Does anyone know the difference between a dinner, an entree, and a "plate of food"? 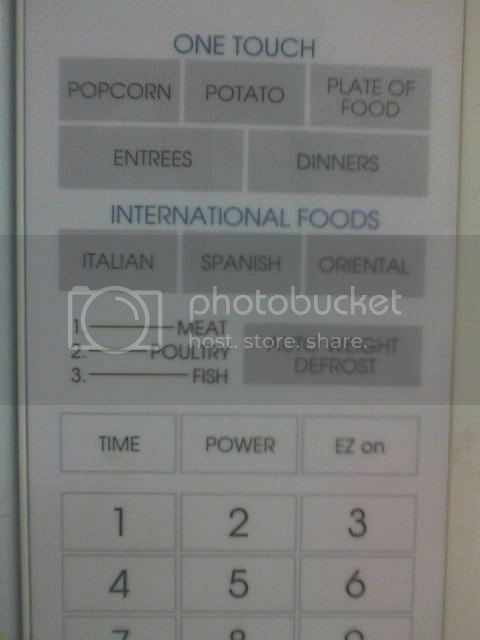 And what if I put in a burrito and hit "oriental"? That is too weird! How can it tell between an Italian dinner and a Spanish one? Another marketing gimmick????!!!! People like lots of buttons...why do they make blenders with 24 speed buttons..